The PAW Patrol is on a roll! Join Skye on an all-new action-packed mission with his Transforming Helicopter! Place Skye in the cockpit and spin the real working wheels as you head out to save the day! 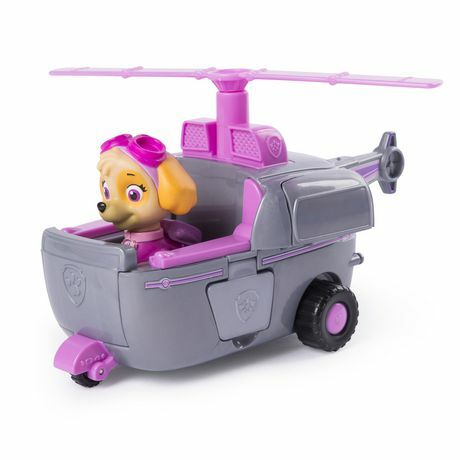 When trouble strikes, transform Skye’s helicopter by pushing the PAW Patrol badge. You’ll activate the flip-open side doors and reveal the turbines – Skye’s gotta fly! 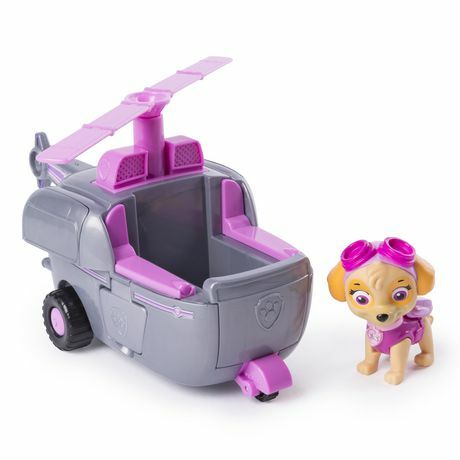 With lift-up wings and spinning propeller, Skye’s helicopter brings all the excitement of PAW Patrol to life. Add the rest of the pups and their transforming vehicles to your collection and go on new missions! 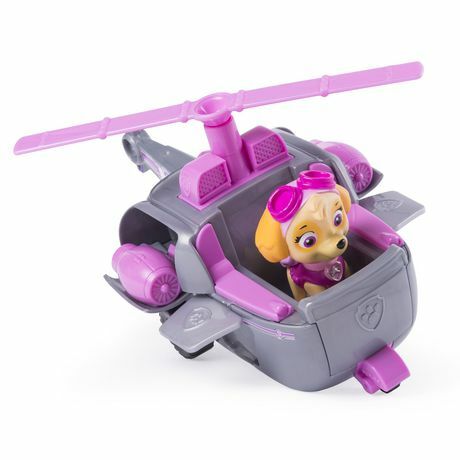 Fly to the rescue with Skye’s Transforming Helicopter! 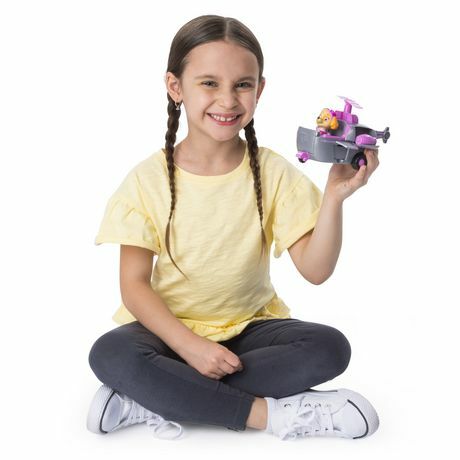 TRANSFORMING HELICOPTER TOY: Skye is ready to save the day in his Transforming Helicopter! With working wheels and lift-up wings, flip-open turbines and a spinning rotor, this helicopter is on its way to an exciting mission!